Suraj Chandrakant Gorgal from Pune, Diploma Graduate. MATERIAL ANALYSIS INVOISE PURCHASE & LOGISTICS..
are one of expert skill area's of Suraj Chandrakant Gorgal . 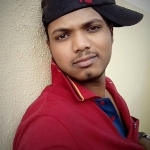 Suraj Chandrakant Gorgal is working in IT Software industry.